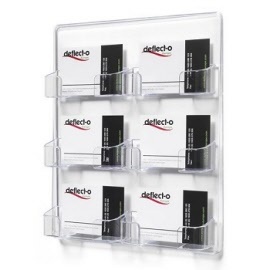 Wall Mounted 6 Pocket Business Card Holder. 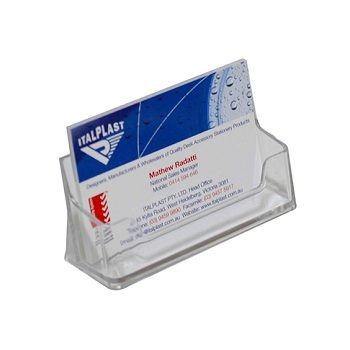 Crystal clear plastic moulded for strength and durability. 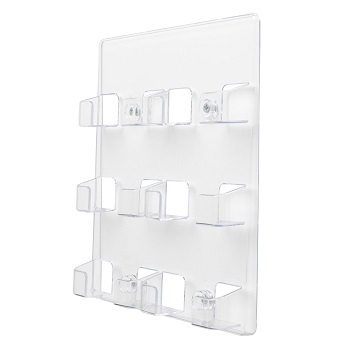 Wall mount - Landscape card display. 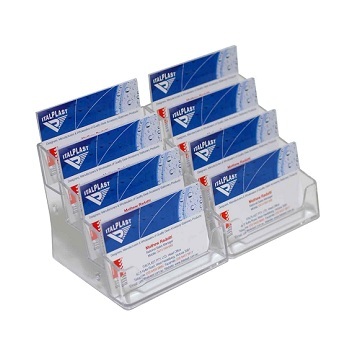 Quality 8 Pocket Tier Business Card Holder. 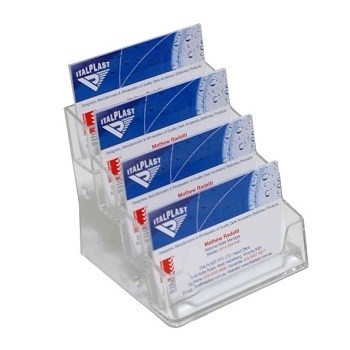 Quality 4 Pocket Tier Business Card Holder.